One thing I like about vouchers is that you can try out different places, usually at half the price and if it's really good a return visit is a must. 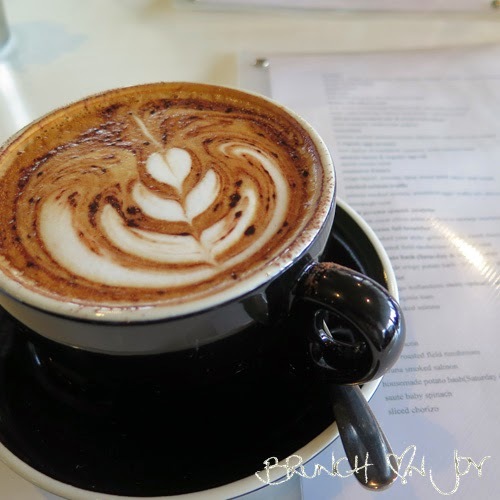 A groupon voucher brought me to Pyrama in Pyrmont. 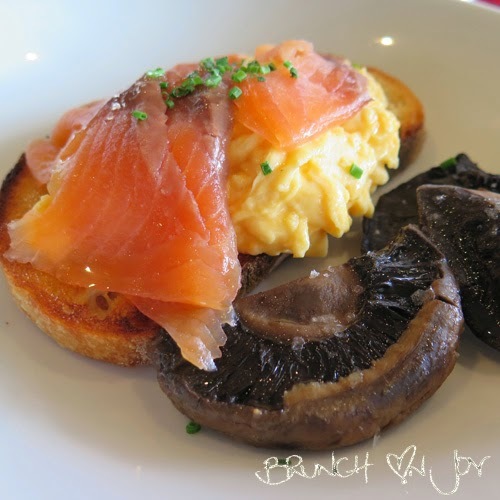 On the menu, listed as petunia smoked salmon with scrambled eggs, truffle oil, chives, thyme roasted field mushrooms on sourdough toast - I couldn't resist this one over the eggs benedict and it was so worth it. It was a good combination and the scrambled eggs were creamy with a hint of truffle oil. 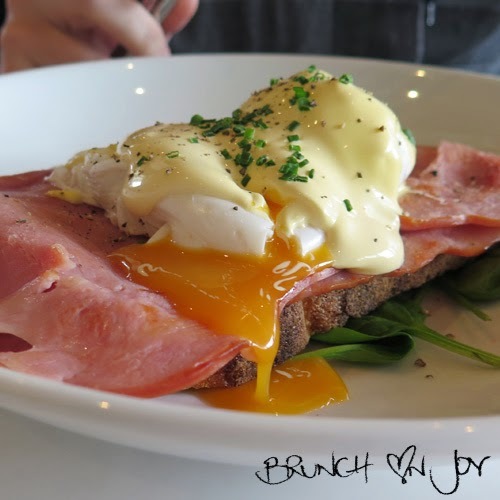 Check out the eggs benedict! It was as good as it looks and I had to snap the yolk as it graciously oozed out onto the plate. The verdict was tasty although the hollandaise sauce was a bit thicker than what I'm use to. The drinks menu is limited but the coffee is not a bad drop of "Five Senses" made with much love. 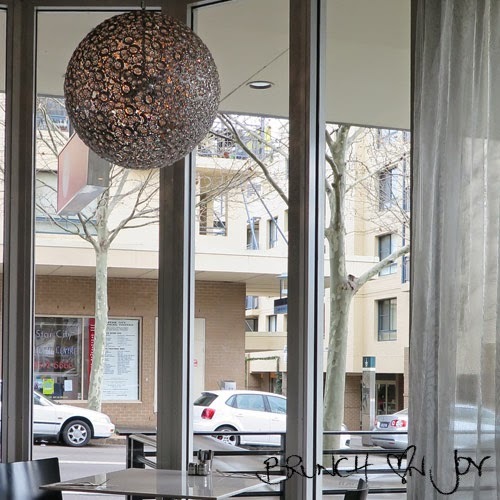 There is a mish mash of fine dining and cafe style in both presentation and atmosphere but the brunch menu is simple and sophisticated. An unlikely choice, I was glad the groupon voucher led me here to try out the smoked salmon truffle.